Here’s a question: would you like 25% off your editing costs? At Jefferson Franklin, our editors’ lives are governed by clocks, diaries and calendars – our pricing matrix is based on word-count and turnaround-time, and we work to deadlines and schedules. 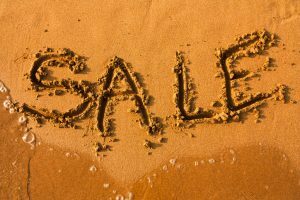 In the hope of filling up our editing calendar for the rest of 2018, we’re offering a 25% discount on your full edit and critique IF you place your booking between 1st June-31st August, and quote Summer18 Offer in your email. For instance, a full edit and critique on a 70-100,000 word manuscript with a four-week turnaround would normally cost £800. Take advantage of this offer and it’ll cost you just £600. No, the edit doesn’t have to TAKE PLACE within the 1st June-31st August period – the edit can take place any time until the end of 2018. You just have to BOOK it within that timeframe to get the discount. Yes, you can still get our free, no-obligation sample chapter edit before you book – that’s a fundamental plank of our business model, and will never change. Yes, you can still take advantage of our range of payment options, including instalment plans and gift vouchers, to help towards the cost of your edit. Yes, the 25% discount is scalable to whatever size of manuscript you send us, and whatever turnaround-time you want. Yes, the offer only applies to the ‘full edit and critique’ service level, as it’s our most popular service level. No, the offer can’t be used in conjunction with any other discount, sadly. Editors need to eat too. So help us fill up our 2018 editing diaries, and save yourself a full 25% of the cost of your edit. Drop us an email at enquiries@jefferson-franklin.co.uk and let us book you in today.